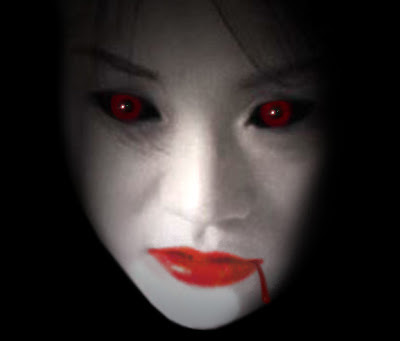 Yes, you read the title right, the Discovery Channel is offering the Most Haunted Mobile ghost detection system with a bonus a ghost detector application for compatible cellphones. 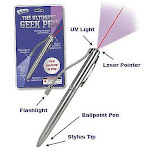 It makes use of electromagnetic fields (EMF) to show apparent paranormal activity wherever you are. To learn more, go to the Discovery Channel's Most Haunted website. Ghost fans will find it hard to resist. For more on EMF meters, or if you plan on building one yourself, enter here. 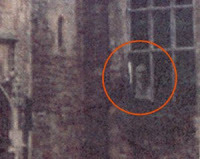 The photo of a castle ghost at left is a post from Unexplained-Mysteries. Please do not stare at the picture of the "ghost" above. It may fill you with fear long after you view it.